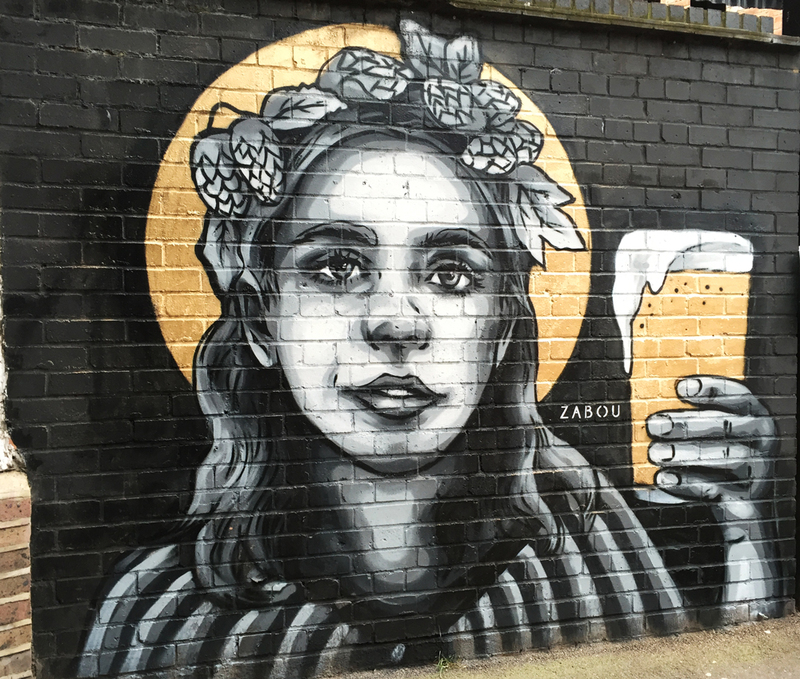 The London Fields Brewery in Hackney let me illustrate my love for the golden beverage on their wall. I used young actress Kiernan Shipka wearing a crown of hops as a model for this painting. Cheers! Santé! 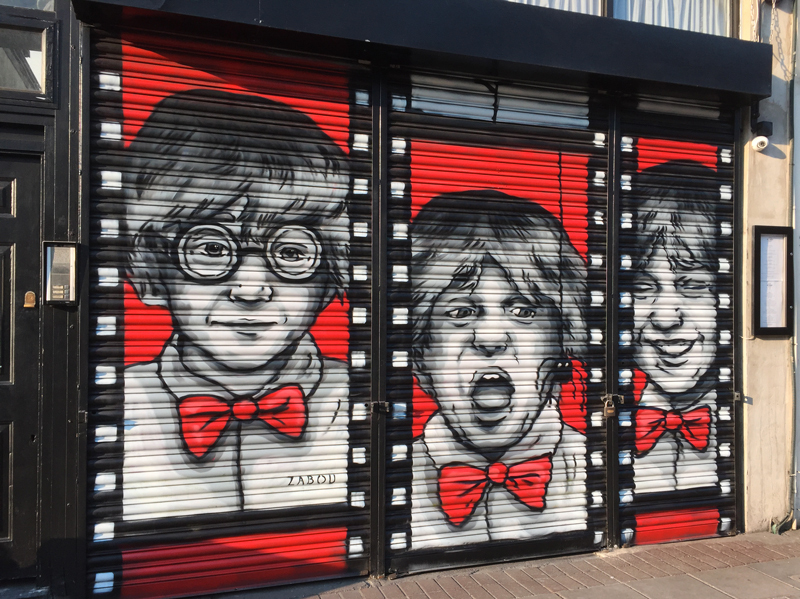 The owner of this great cocktail bar and restaurant in Hackney asked me to paint the shutter. I decided to use the three parts of the shutter as if they were a film roll, featuring a cheeky boy. 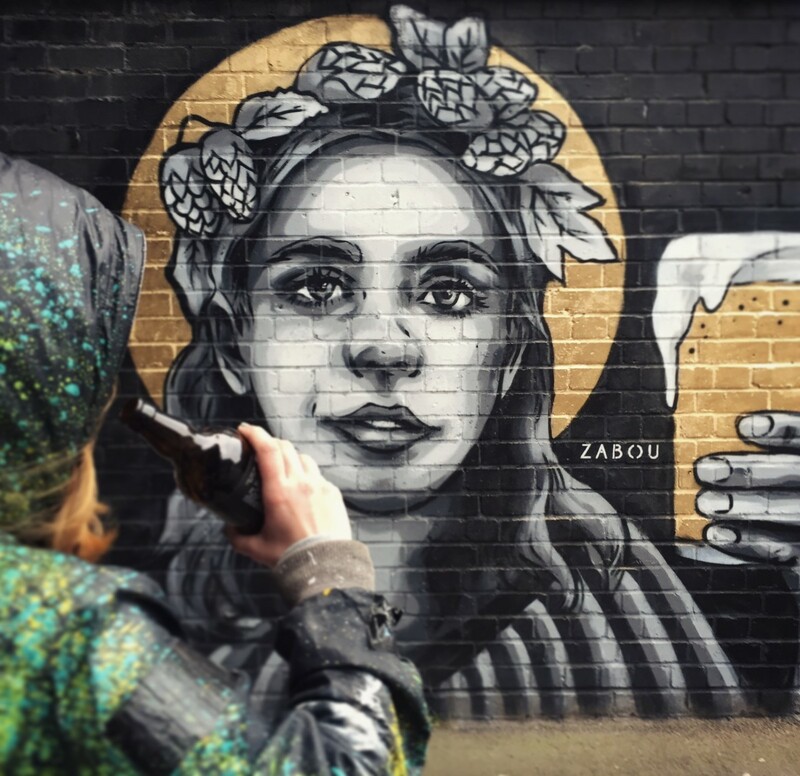 By The Bridge cafe in Hackney asked me back in 2014 to paint their front wall with an artwork inspired by the area. As the rest of the building was redecorated with a beautiful mural by female artist Caratoes (also in the show at Saatchi), I decided to refresh my mural with a more up-to-date style. The image is inspired by a photo of Amandla Stenberg.